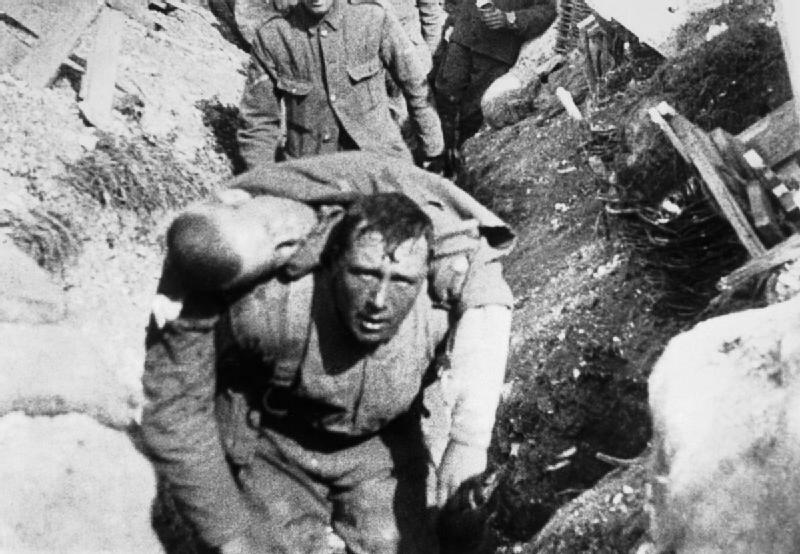 This documentary of the First World War was shot in the British trenches during the outbreak of one of the War’s most crucial (and largest) battles. Despite the limitations of the technology and avoiding potentially dangerous shooting conditions, it manages to present a powerful picture of the event. The movie is divided into five parts, which are presented as a chronological account of the battle. The first two involve preparations and troop movements, the third shows the beginning of the battle, while the fourth mostly shows wounded and prisoners returning to the British side, and the final chapter shows some of the aftermath. Soldiers are generally identified by division or unit, and no names (even that of a general addressing his troops) are given. A lot of the men look at the camera, and it’s interesting to note the looks on their faces. Occasionally, they stare blankly at the camera, but more often they seem cheerful and wave or smile. No one shows fear or anger. No gunfire or hand-to-hand combat is shown, although we do see a progression of increasingly large mortars and cannon firing at the enemy lines, and also some shots showing the explosions from a distance. Scenes depicting the men going “over the top” in chapter three are simulations, however there are some shots of what appear to be real body piles in the later parts of the movie. Carrying the wounded off the field. Forward-facing intertitles inform us of the specifics of the scenes that follow them, often describing two or three scenes before they happen. 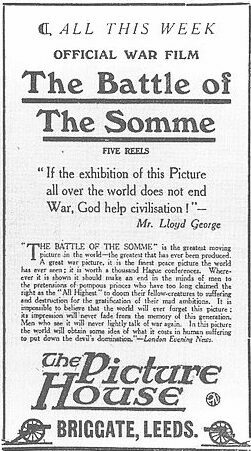 The editing tells a story of British victory at the Somme, although by the time this reached theaters in the UK the battle was still raging more or less indecisively, and thousands were being killed on both sides. Because we never see the battle itself, we can only view events from a kind of “headquarters-eye-view,” with soldiers going out and then streams of wounded and prisoners coming back in, but a disconnect in terms of what really happens in the middle. In spite of that, this is emotionally effective propaganda, because the British are shown as brave and eager to serve, and there is a sense of camaraderie and resolution to the piece. For the most part, the War as we see it here is fought between the British and the Germans, although some Canadians are depicted in one scene. I’ve seen this a hundred times. It is also highly effective documentary cinema. The images in this movie are probably familiar to anyone who’s seen a documentary about World War One. There just isn’t that much other footage from the period, so certain shots from this one show up in almost everything that gets made. The footage lacks sound and color, but it shows us images of the real people, animals, and machines that fought the battle and allows us to witness military activity from a now-remote past. One thing that this footage makes obvious is the importance of horse-power in fighting at the time. Far more cannon and supplies are shown as drawn by horses than motors. We also see how many dogs were present at the front, and one especially powerful image shows a dead dog lying next to “his master” (according to the intertitle) on the battlefield. 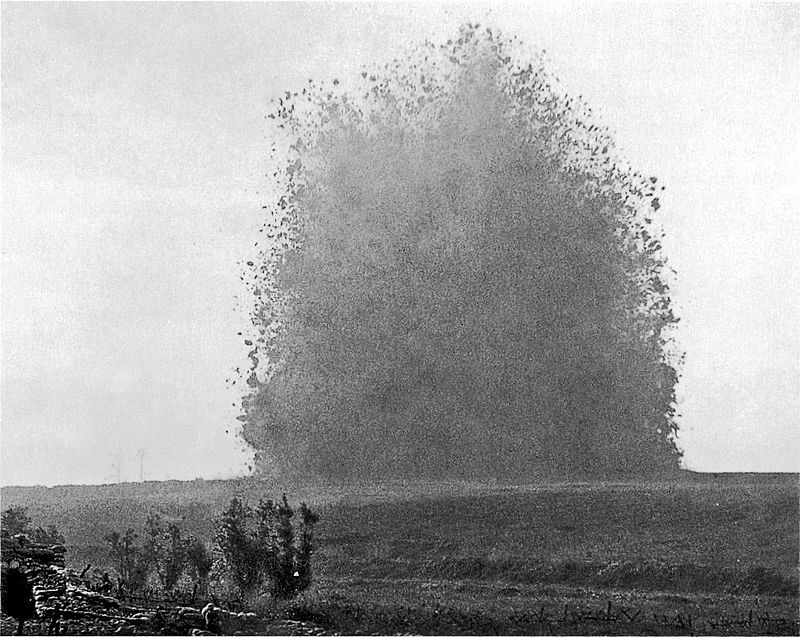 We definitely get a clear picture of the French countryside before, and its devastation after, the battle. 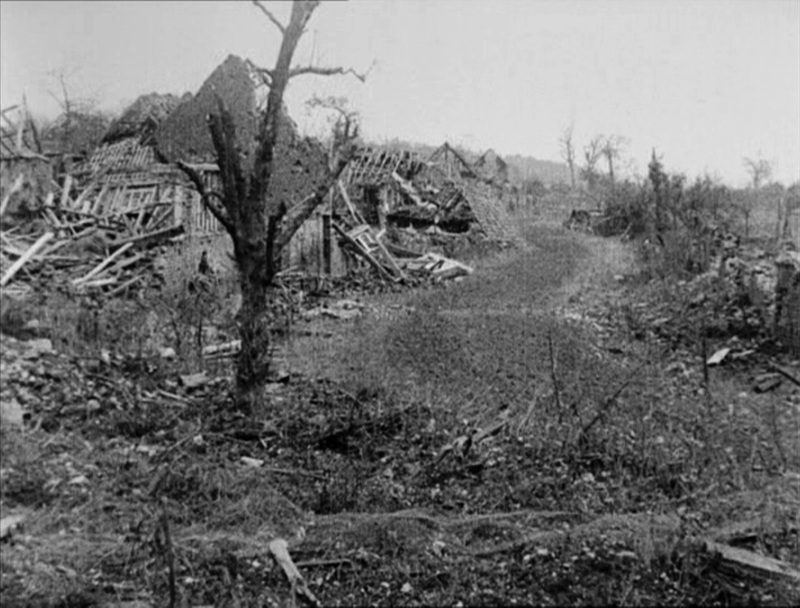 One panorama shot of the ruined town of Mametz seems to go on forever, reminding one of later images of Hiroshima. Cast: Major-General Beauvoir De Lisle, unknown soldiers. Good to read on this film and the detail of the presentation. It was immensely influential at the time with large audiences seeing front-line action for the first time. Thanks for reading! From what I’ve read, this was the UK’s first blockbuster release, with people who never went to the movies going out to see it.